Rihanna's stage kit arrives at the O2 Arena ahead of her performance at the 2011 Jingle Bell Ball. Countdown To The 2011 Jingle Bell Ball! 6. 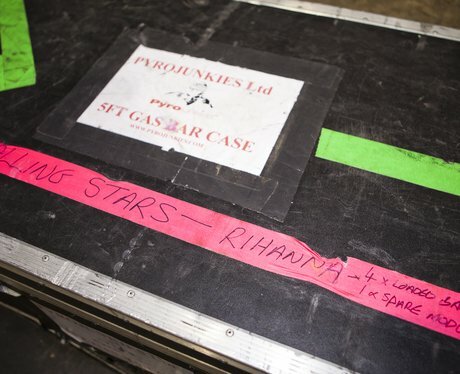 Rihanna's stage kit arrives at the O2 Arena ahead of her performance at the 2011 Jingle Bell Ball. See the full gallery: Countdown To The 2011 Jingle Bell Ball!